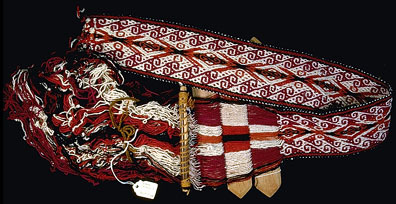 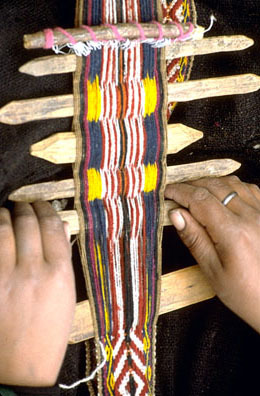 Detail of Antonia’s hands weaving a belt. 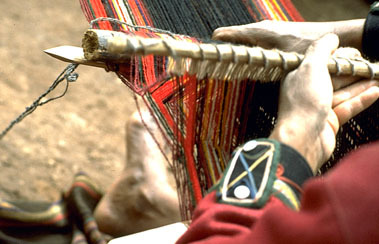 Weavers in Chinchero use sticks for creating patterns from warp yarns. 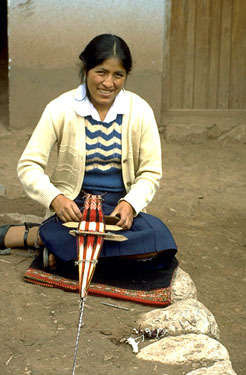 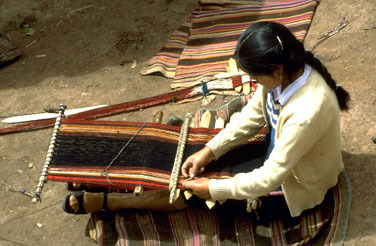 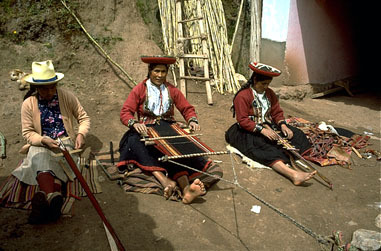 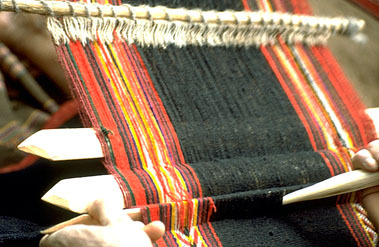 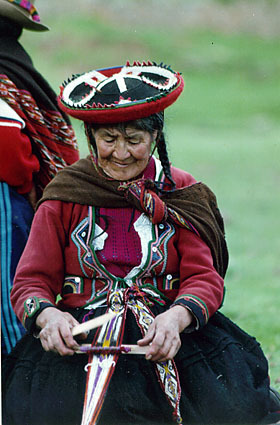 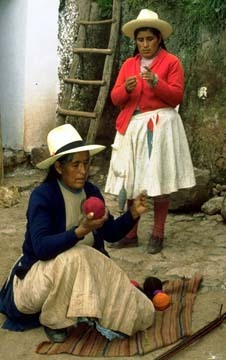 Villages in the Andes have developed a great variety of weaving techniques which interest textile researchers.